How do you make online video more interactive--and profitable? Los Angeles-based Sidevision (www.sidevision.com) has developed a set of tools--aimed at content creators, multi-channel networks (MCNs), and others--to help connect online videos with e-commerce. We recently spoke with co-founder and CEO, Justin Wu to learn more about the company, which so far has received a small seed funding from Warner Bros. as part of that company's Warner Media Camp accelerator. What is Sidevision all about? 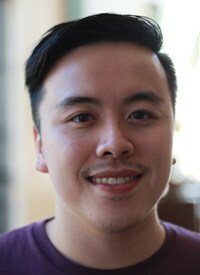 Justin Wu: Sidevision is a video e-commerce platform which allows brands and content providers to better monetize their videos with interactive apps. Justin Wu: We integrate with any video platform, such as YouTube, Vimeo, Kaltura, and we're built on top of an API. With our backend tools we can push products to the front of videos, allowing content providers to drive shopping activity. How did you get involved with the Warner Media Camp? Justin Wu: Last year, we talked to Media Camp about our idea, when it was at a much earlier stage. This year, after working with Team Downey, and several other accelerators, our idea became more developed. We found applications here where Warner Bros. could use it as an enterprise, to allow them to do what they do on social, mobile, and the web more interactive, and have greater interaction with their viewers. Where is your product today? Justin Wu: We work with multi-channel networks like Maker and BigFrame, and we're also in talks with Warner Bros., which has also invested in us. We see an opportunity and are reaching out to other content creators, as well talking with other businesses. Justin Wu: We all met at the University of Washington, and studied computer science. My CTO, Peter Chen, went to Stanford. We worked together on several products previously. We also helped launch a company Pluto.TV. We helped them at an early stage. We got into the video space at Pluto.TV, and saw this big opportunity because multi-channel networks were not making as much money as they want, but the trend is online video is growing. We are letting those companies capitalize on that growth. Do you have numbers or anything on how many people actually want to click on ads while watching a video? Justin Wu: With the YouTube channels we work with, we're seeing anywhere from 12 to 15 percent of viewer click through rate. We're seeing very high conversion rates. It depends a little bit upon who the content creator is, and who the audience is. If you are doing a YouTube makeup tutorial, you'll have crazy engagement with this. It really depends on what that content is, but we're seeing really good success. Justin Wu: We're looking to raise a seed round of funding, of $1.2 million, to help us grow our engineering team and grow our mobile presence, as well as help accommodate the many multi-channel networks who are talking to us, so we can handle their traffic. We need to scale our team to handle that.